The global travel vaccines market was worth US$ 4.9 Billion in 2018. Travel vaccines, also known as travel immunizations, are vaccines travelers can get before they visit certain regions across the globe which help protect them from serious diseases. Travel vaccines work by exposing the body to a microorganism or parts of the microorganism of the disease it will protect against. The body responds to the vaccination by making antibodies that will protect it against a situation where there is an exposure to the disease in the future. The number of international tourist arrivals worldwide increased from around 1.0 Billion in 2012 to nearly 1.4 Billion in 2018. A significant number of these travelers traveled from developed countries to regions with endemic diseases. As more people travel to countries with endemic disease, demand for vaccinations will continue to increase. Morever, regulatory authorities across the globe have also mandated that travelers should be vaccinated before travelling to disease-prone regions. As a result, travel vaccines have now become an important requirement in an international travelers list. For instance, The Ministry of Health in the kingdom of Saudi Arabia requires that all travelers arriving for Hajj and Umrah from countries or areas at risk of diseases such as yellow fever, Meningococcal meningitis, Poliomyelitis, etc. must present a valid vaccination certificate. 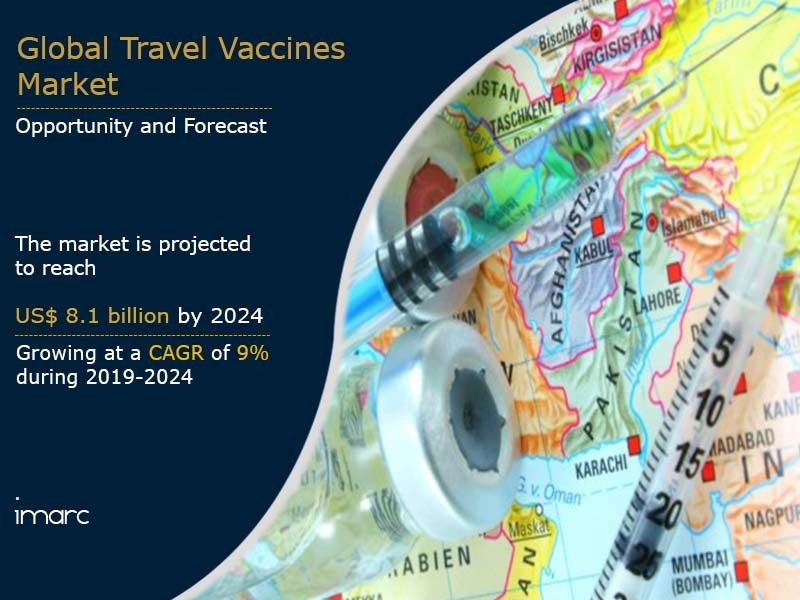 Other factors driving the demand of travel vaccines include increasing awareness levels, technological advancements, increasing incidence of life-threatening infectious diseases, etc. 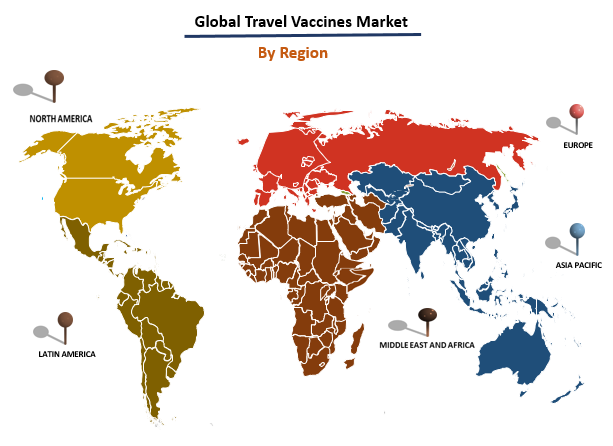 Looking forward, we expect the global travel vaccine market to reach a value of US$ 8.1 billion by 2024, exhibiting a CAGR of around 9% during 2019-2024. Based on the composition, the market has been segmented into mono vaccines and combination vaccines. Based on the disease, the market has been segmented into hepatitis A, hepatitis B, Japanese encephalitis vaccines, meningococcal, rabies, typhoid, yellow fever and others. Region-wise, the market has been segmented into North America, Europe, Asia Pacific, Middle East and Africa and Latin America. Amongst these, North America is the biggest market, accounting for the majority of the global sales. The competitive landscape of the market has also been examined with some of the key players being GlaxoSmithKline, Sanofi, Merck, Novartis, Pfizer, ALK-Abelló, Bavarian Nordic, Crucell N.V., CSL Limited, MedImmune, LLC, Altimmune, Abbott Laboratories and F. Hoffman-La Roche Ltd.
How has the global travel vaccines market performed so far and how will it perform in the coming years? What are the key regional markets in the global travel vaccines industry? What is the breakup of the global travel vaccines market on the basis of composition? What is the breakup of the global travel vaccines market on the basis of disease? What are the various stages in the value chain of the global travel vaccines market? What are the key driving factors and challenges in the global travel vaccines market? What is the structure of the global travel vaccines market and who are the key players? What is the degree of competition in the global travel vaccines market? 14.3.13 F. Hoffman-La Roche Ltd.